The work included here are the reflection of time spent hiking and journeying deep into Minnesota’s north woods. I tried to capture the sublime form of the wilderness in a graceful and simple way. Island lake is a small but intimately serene place tucked into the forests of the north. 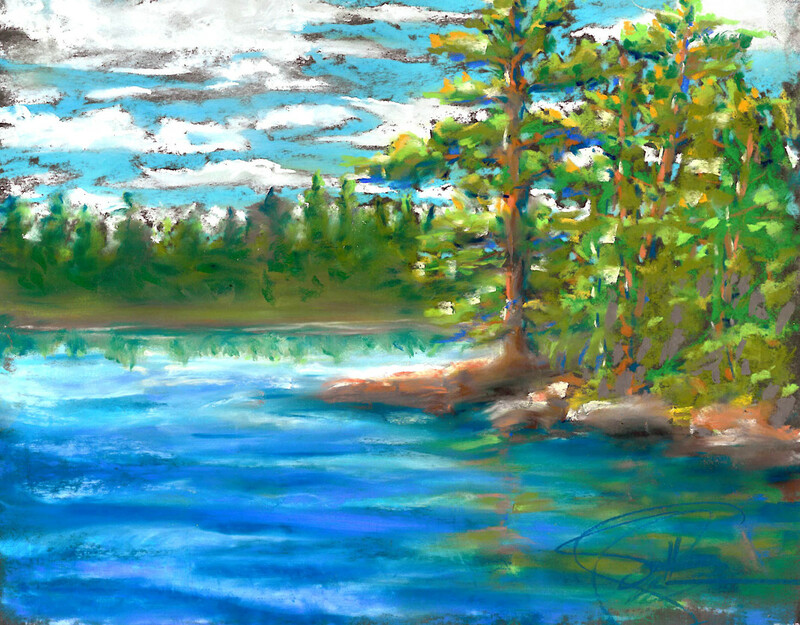 Here is where I was inspired by the pines and clear lakes, drawing on this to work into a series of impressionistic oil pastels. The bold colors are like the splashes of natures array glowing with life.